As a renter, you’re expected by abide by your landlord’s rules and regulations. If you don't, your belongings may end up unceremoniously dumped on the curb. What can we say? Some things in life are black and white; your lease is undoubtedly one of them. As a general rule, doing anything that could get you arrested could also get you evicted. 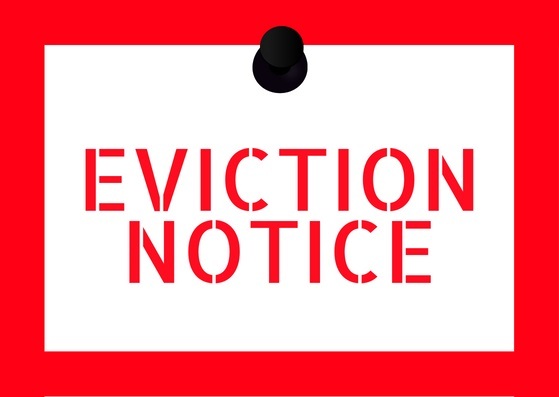 Having drugs or drug paraphernalia inside your unit is certainly grounds for eviction (in some states, your lease can be terminated with 24 hours' notice for drug-related activity), as is engaging in prostitution. It's the HOA's way or the highway! If you’re renting a home in an area with a homeowners association, you’re subject to the same rules and regulations as the homeowner. In fact, Stephens says the HOA can actually reserve the right to approve you as the tenant and review the lease agreement. “If a tenant is causing problems within an HOA community, the HOA will begin by working with the homeowner to improve the resident's conduct,” Stephens says. Whether the damage is your fault or not is irrelevant, says Shawn Breyer, owner of Atlanta-based Breyer Home Buyers. “Our lease states that they must report any damages to the property so that the landlord can make repairs." “We did a quarterly inspection on the property to find standing water in the associated rooms," Breyer says. As a renter, sometimes you'll find yourself in an unlucky situation. If you're on a month-to-month lease and your building is purchased by new owners, there's a chance you'll be asked to leave. The owners may decide to renovate the units in the building to increase the property's value.